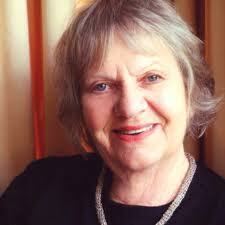 Veteran actor Elizabeth McRae, NZOM, has been acting on screen since 70s series The Games Affair. McRae is arguably best-known for a long-running role as Shortland Street receptionist Marjorie Brasch. Alongside many supporting parts, and work as a narrator and voice coach, she headlined in the Return Journey episode of TV’s About Face, and Nancy Brunning short Journey to Ihipa. In comedy All About Reinalda she plays the Prime Minister. This unique singer/songwriter/chanteuse/raconteuse is equally at home singing in English or in French but has a truly “kiwi” background as a dairy-farmer’s daughter from the South Waikato. Following on the success of her iconic track Family At The Beach, she has recently completed and released the album Kiwiana, a collection of original songs about her native land.